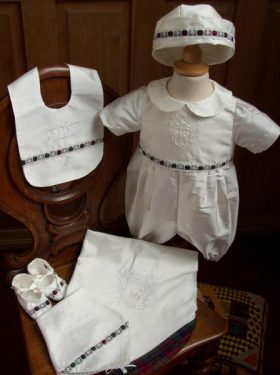 Little Doves offers a wonderful selection of tartan trimmed accessories to compliment you chosen christening gown or romper. 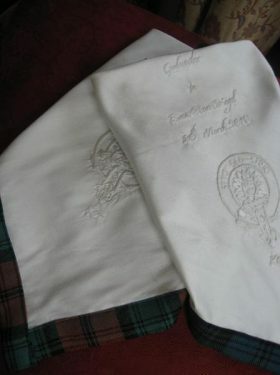 Our tartan shawls come in two variations, chose from either a 100% pure wool tartan shawl with a silk edging or opt for the opposite and go for a silk shawl with a tartan trim. 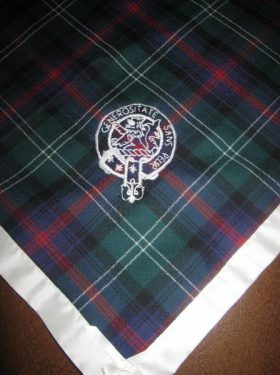 Both christening shawls are hand embroidered with your family crest or Coat of Arms and of course, your chosen tartan will be used. 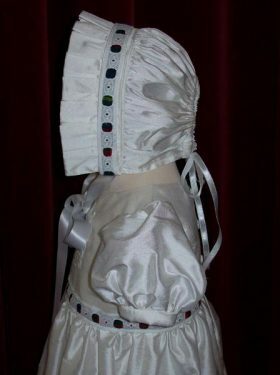 Perfect for keeping your baby warm during the ceremony and as a blanket/keepsake later. Our tartan trimmed booties are also a delightful extra. 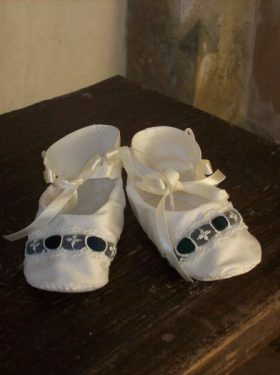 Created from the same fabric as the christening outfit the booties are again trimmed with your family tartan. 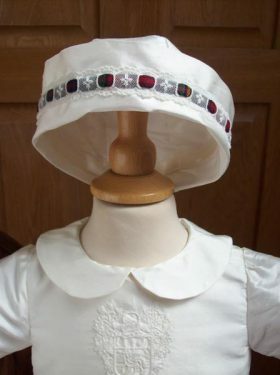 We also offer tartan trimmed bonnets and caps. 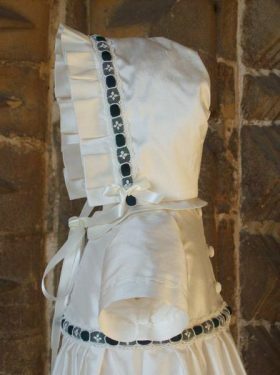 Our bibs are wonderful to protect the gown during the christening and are also hand embroidered with the baby's name and date of baptism. 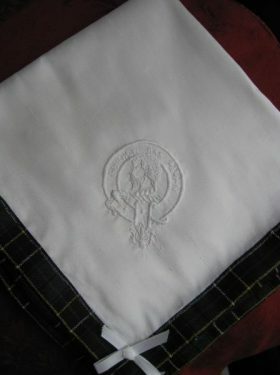 And finally, if you are looking for the perfect Godmother gift, why not let us create a tartan trimmed silk hanky. 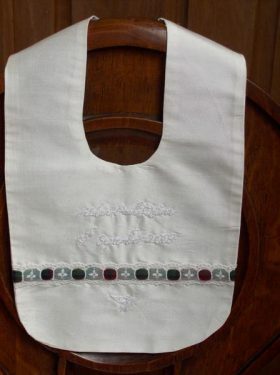 Complete with hand embroidery this is a lovely keepsake for your chosen godparents.